Not only is the jacket itself absolutely stunning, the hardback underneath and its end papers continue that gorgeous theme throughout the entire book. This always remains high on my TBR but I’m constantly hesitant to read it on the off-chance that the story inside doesn’t match its stunning cover – silly, I know. Still, until the day when I do brave it, I’m glad to be able to stare wistfully at this cover design. I’ve only actually read the first book, A Thousand Pieces of You, but I can safely say that the rest of the paperbacks are stunningly designed. I like that the stark white is offset by the myriad of colours in the watercolour-esque reflection, and the cities represented in the images are always relevant to the story within. I just think this is a brilliant concept for a cover that could have gone badly wrong had it been executed poorly but, thank goodness, it was executed brilliantly and makes a stunning trilogy of covers. 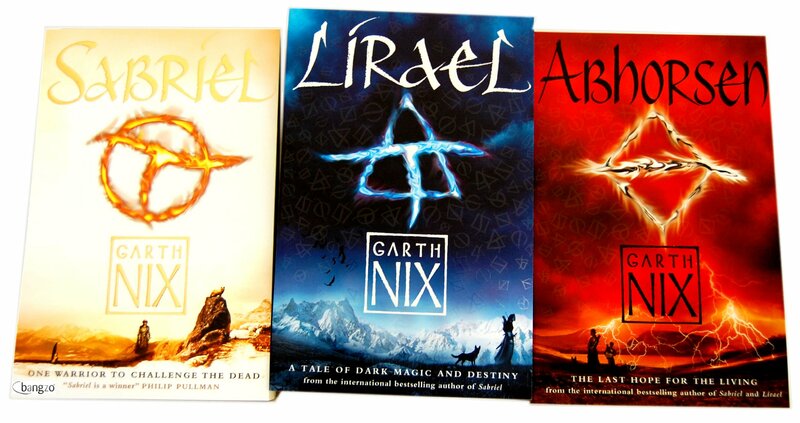 I don’t know how well these will actually show up in an image but the UK paperbacks of Sabriel, Lirael, and Abhorsen are absolutely beautiful. Anyone familiar with the stories themselves will recognise the charter marks of the world’s magic system scrawled all across the cover – these are only visible when you tilt the book slightly so that they catch the light, otherwise they are mostly invisible. I think that is such a clever use of embossing/de-bossing/spot UV/whatever devilry this is! Plus its use of it is relevant to the story, it’s not just a gimmick, and I really appreciate that in well thought-out cover art such as this series’. This book is nowhere near as stunning on a flat image as it is physically when you hold it in your hands. Firstly the black and gold colour scheme deeply appeals to me. Secondly, the swirly decadence of the gold pattern is my jam. Thirdly, the beauty in this book’s (well…) beauty is the simplicity of its cover design. Now, admittedly, I have yet to read the book so I do not know if it matches the tone or story of the novel which I believe is set in Regency England but, if nothing else, it’s a damn stunning looking hardback, make no mistake. I’m very disappointed in the paperback and non-UK editions of this book to be honest, because they don’t even come close to matching up to this one. Speaking of UK covers that knocked it out of the park, embarrassing their US counterparts in the process, we have my all-time favourite SFF cover whose US edition is thoroughly disappointing when compared to this frankly beautiful edition. Why do I like this so much? My friends, I have one very simple word for you: SPACE. LOOK AT SPACE. SPACE IS STUNNING. Ok, that was more than one word, but I think you catch my drift. I’ve always loved any depictions of space being so colourful and dramatic and vast and this is all of those things. The story inside is just as stunning which doesn’t hurt matters either. Just beautiful. 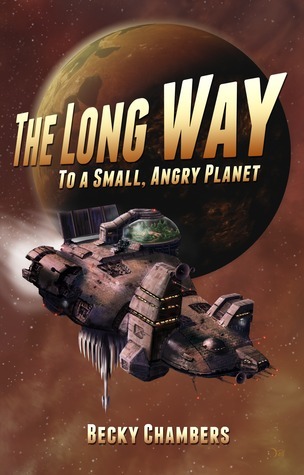 And there we have it folks – those were my top 5 favourite sci-fi/fantasy book covers. Do you agree/disagree with my choices? Which SFF covers do you love? If you have a Top 5 Wednesday list, be sure to link it below – I’d love to take a look! Have you seen the Australian covers of the Old Kingdom series? Those are even better :) They really capture the story and the look of the characters so much. Have you read all the books?